Back for another year of Indie Pattern Month! I’m so excited about this year’s challenges, especially the accessories week. 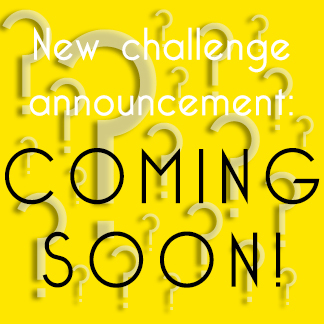 I’m not sure yet if I’m going to enter because this month is pretty hectic, but I’m very curious what everyone will come up with. This is the Deer and Doe Zephyr dress. It’s a knit dress with a princess seamed bodice and a half circle skirt. You can choose between a crew neck or v-neck cut. The pattern also includes a waistband, so you could make a crop top and a skirt with this pattern as well. 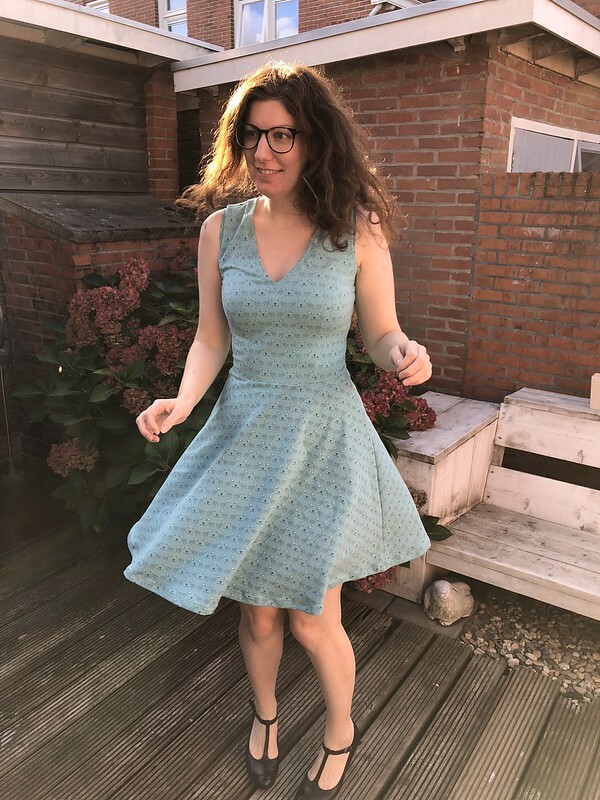 I made this dress for a friend of mine who happens to be the same size as me. 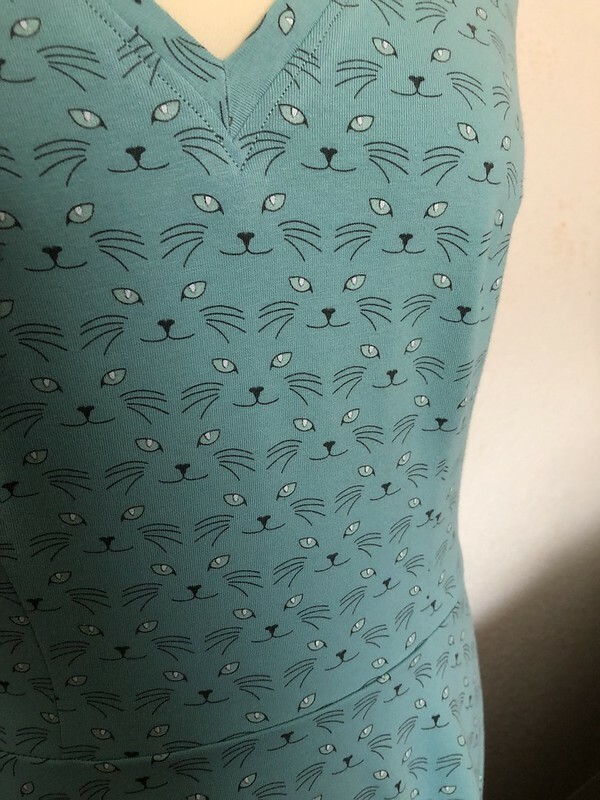 When she saw my previous version, which was made out of the same cat fabric as my Neenah dress, she said she wanted one too! Unfortunately, I couldn’t find that fabric anywhere, so I sent her some other options but she said only cats would do. So I found this one, which is awesome because the cat eyes GLOW IN THE DARK! Also, bonus, she tried my dress on and it fit her as well. This is my third time making this pattern. 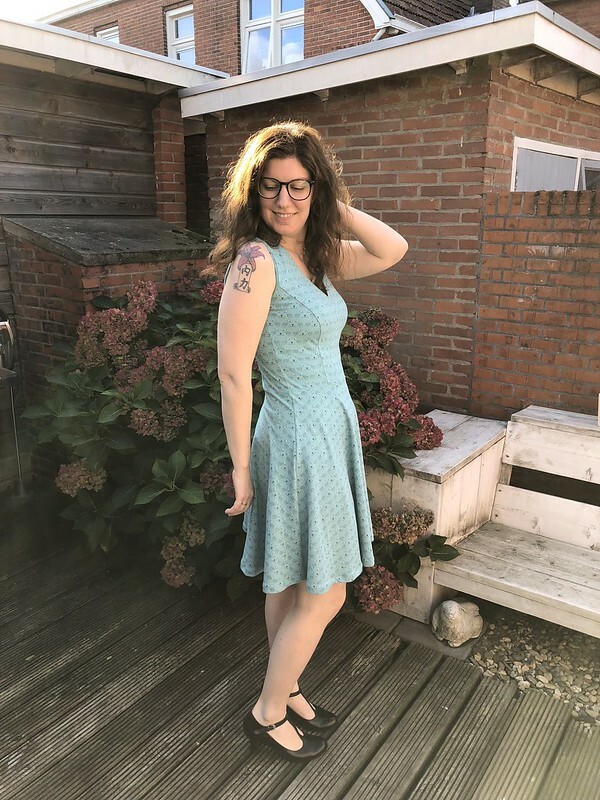 My first iteration was a labour of love because I made a muslin to get the fit right and then did a major neckline hack. From experience, I know that Deer and Doe’s bodices are way too short for me, so I lengthened the bodice by 3cm. I also lowered the bust point and did an FBA. I used this tutorial on the curvy sewing collective to lower the bust point on a princess seam. Ironically, I later learned I need to do a small bust adjustment in my bodice making masterclass, but for some reason this combination of adjustments really worked out for this pattern. I mainly sewed this dress on my serger. Everything but the neck binding and the hem. I used a stretch stitch (triple stitch) on the neckline and a zigzag stitch for the hem. I like the look of the triple stitch more than the zigzag on the neckline (which is what I used on my previous version) but it’s a bit wavy. I’m hoping that after a few wears and washes that it’ll smooth out a bit. I’d definitely recommend this pattern! It’s a very fast sew. I think I made it in about 4 hours all together. I’m a slow sewer, so someone who’s quick on the machine could probably knock it out even faster. It’s such a comfy dress as well. You could make this in a variety of different knits, like scuba, stretch cotton, or rayon. If I weren’t such a polyester snob, I would love to try scuba because i love the way the skirt looks in a more structured fabric. This dress is so lovely. I bet the glow in the dark is very fun! And the fit looks AMAZING! Nice job and what a lovely pattern, I haven’t seen many other versions of it before. Oh this is lovely! 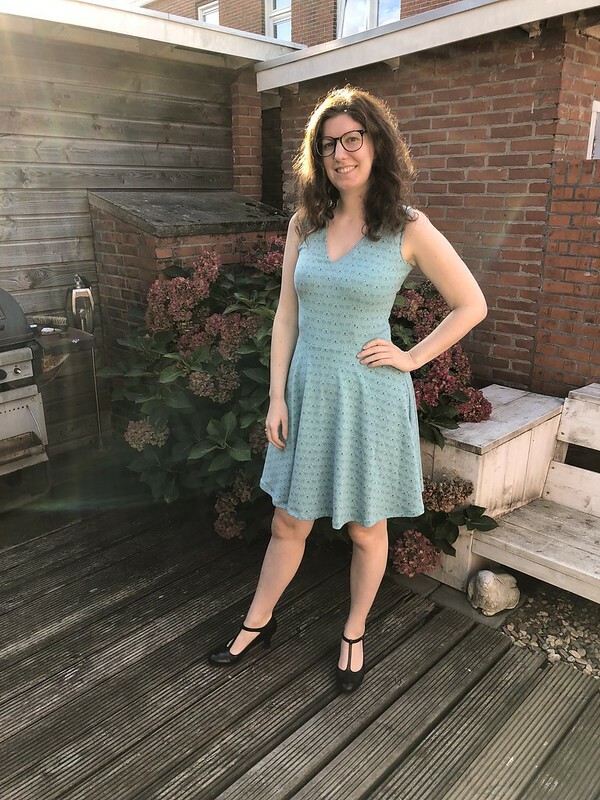 I’ve been looking at this dress pattern and I think I may have to put this on my Christmas wishlist 🙂 And useful to know that the bodice comes up short! Thank you! It really is great. I’m 175cm/5’8” for reference. I really like using the triple stitch too, but it can turn out a bit wavy if you pull on the fabric while it’s going through the machine. That must have been what happened. I tried not to, but it kept bunching up under the presser foot, so I probably pulled it a bit too much. Thanks! Yeah the fabric is pretty ace. I think I’ll make some underwear from the scraps for myself.